You will find that there are a lot of possibilities for activities on the property and in the house. But for those of you that require some extra action please see below. Contact us for further information about the activites. Perhaps you want something special? Check out Four Season Resort. About 80 minutes from Cotignac. 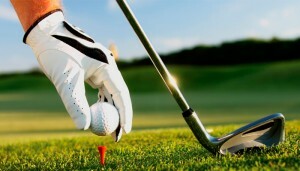 Many other golf courses are also available near Lou Marronié. 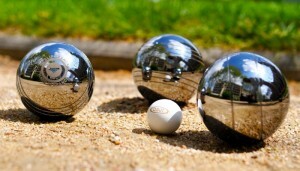 Pétanque is a form of boules where the goal is to throw hollow metal balls as close as possible to a small wooden ball called a cochonnet (literally “piglet”) while standing inside a circle with both feet on the ground. Also referred to as Jeu de Boules, the game is normally played on hard dirt or gravel. We have a Petanque court next to the swimming pool, which is shaded by old Mulberry trees that hark back to the days when the manor was a silk farm. In the swimming pool in the garden: salt water and good temperatures from Easter until the end of October. In the sea: about 1 hour from the East of Cotignac – Hyeres: Bregancon. The beaches continue indefinitely to St Tropez. In Lakes: near the Verdon Gorge, north of Cotignac, the Lac de St Croix is a water paradise with emerald water that has a summer temperature of 25 degrees C. At most places around the lake, one can rent a kayak or paddle-board. Continue a few kilometres more to discover the charming village, Moustiers Sainte Marie. In Cotignac there is a refreshing river, “La Cassole” and waterfall which is very popular with the locals. Rafting can be at least as challenging in France as in Norway! The area is a paradise for cycling tours with its small quaint medieval towns. We have 10 bikes with bicycle helmets for free disposal. There is a bicycle map located in the House, which contains marked cycling tours through the vineyards where no cars disturb the peace. The trails and gravel roads are also easily accessible. 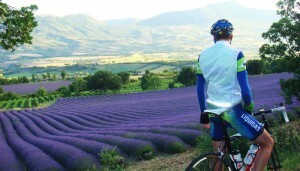 Some people choose longer trips in Provence. There are several ski resorts 2-3 hours from Lou Marronié. Among others: Isola2000, Beuil, Auron and Valdallos. Check out Gorges du Verdon. Quads are perfect for adrenaline junkies! There are tennis courts about 200 meters from the house. Tennis rackets are available in the house, and the courts are booked through the local tourist office. A great hiking around the village an further around in the country. The sky is the limit!